Keep up to date with what’s happening in libraries in the region. If you have a conference to announce, please send its details to marketing@igroupnet.com. A searchable version of this list which includes conferences held in the past ten years is here. National Library and Information Technicians Symposium 2019 Discover Diversify Dive In happens 13-15 November, Victoria University Convention Centre, Melbourne, Australia. ICDL 2019 The International Conference on Digital Landscape: Digital Transformation for an Agile Environment takes place 6-8 November 2019 at TERI, India Habitat Centre, New Delhi. A-LIEP/ICADL 2019 A-LIEP 2019 will be co-located with ICADL 2019 and AP-iSchools (Asia-Pacific Chapter of iSchools) 4-7 November 2019 in Melaka, Malaysia. Organizers are the Faculty of Information Management, Universiti Teknologi MARA (UiTM), Melaka State Library Corporation (PERPUSTAM) and the Asia-Pacific Chapter of iSchools. ICERI 2019 The 9th International Conference on Education, Research and Innovation will be held in Tsuru University, Japan from 25 to 27 October 2019. LIANZA Conference 2019 The conference takes place in Auckland, New Zealand, 21-23 October 2019. ASIS&T 82nd Annual Meeting The Annual Meeting of the Association for Information Science and Technology takes place in Melbourne, Australia, 19-23 October 2019. ICSTI 2019 Annual Conference and Workshops The Annual Conference and Workshops will take place in Shanghai, China on 24-26 September. This year’s conference is titled Open Science and Open Innovation. ICDAR 2019 The International Conference on Document Analysis and Recognition happens in Sydney, Australia, 22-25 September 2019. LAS Conference 2019 New! takes place 19 September 2019 at Lifelong Learning Institute, Singapore. The theme is “ Remaking Libraries: Innovate.Connect.Transform”. International Conference on Digital Transformation: A Cognitive learning towards Artificial Intelligence The conference takes place 6-8 September 2019 at Rajiv Gandhi National University of Law, Punjab Sidhuwal, Patiala, India. LIS 2019-Summer The 2019 International Conference on Library and Information Science – Summer Session takes place in Kyoto, Japan, 14-16 August 2019. 34th Annual ANZTLA Conference The 34th Annual ANZTLA Conference, Boundless. happens 10-13 July 2019, at Robert Menzies College, Macquarie Park, Sydney, Australia. LISSASPAC (I-LISS) 2019 International Conference The Library and Information Science Society for Asia and the Pacific 2019 International Conference will be held at National Taiwan Normal University, Taipei, 12-13 July 2019. NLS9 The New Librarians’ Symposium takes place 5-7 July 2019 in Adelaide, Australia. ICELT 2019 2019 5th International Conference on Education, Learning and Training will be held at Central Queensland University, Australia from 28 to 30 June 2019. SEALG Annual Meeting 2019 Updated! The Southeast Asia Library Group (SEALG) annual meeting will take place in Leiden, the Netherlands, on 28-29 June 2019. 40th Annual IATUL Conference The International Association of University Libraries holds its annual conference at The University of Western Australia and Curtin University in Perth, Australia from 23 to 27 June 2019. ICIKM 2019 The 2019 8th International Conference on Innovation, Knowledge, and Management will be held in Da Nang, Vietnam during 24-26 June 2019. 2019 ACEAI The Asia Conference on Engineering and Information takes place 18-21 June 2019 in Beijing, China. 6th WCRI 2019 6th World Conference on Research integrity hosted by University of Hong Kong takes place 2-5 June 2019 in Hong Kong. IASSIST 2019 The annual conference of the International Association for Social Science Information Services and Technology will be held 27-31 May 2019 in Sydney, Australia. Aurora Institute for Emerging Leaders The Institute takes place 26-31 May 2019 in Manley, NSW, Australia. ATNL-2019 New! The National Conference on Advanced Automation Technologies for Next-Gen Libraries takes place at NIT, Rourkela, India, 20-24 May 2019. THETA 2019. The Tipping Point. The Higher Education Technology Agenda conference takes place in Wollongong, Australia, 19-22 May 2019. One Week National Workshop on Research Data and Statistical Analysis using R Programming The Workshop takes place 6-11 May 2019 at INFLIBNET, Gandhinagar, Gujarat, India. ICEAI 2019 The 9th International Congress on Engineering and Information will take place from 7-9 May 2019 in Osaka, Japan. LAS AGM 2019 New! Annual General Meeting of Members of the Library Association of Singapore will be held on 4 May 2019 at Lifelong Learning Institute, Singapore. i-IKM 1st International Conference on Information and Knowledge Management will be held 25-27 April 2019 at Dhaka, Bangladesh. ICETICL – 2019 International Conference on Enhancement of Technology and Innovations in Contemporary Libraries takes place 24-25 April 2019 at Alagappa University, Karaikudi, Tamil Nadu, India. ICoLIS 2019 7th International Conference on Libraries, Information & Society will be held 18 and 19 April 2019 at Melaka, Malaysia. ISS 2019 The 2019 International Conference on Information and Social Science convenes in Osaka, Japan, 2-4 April 2019. The 17th Annual Library Leadership Institute The Institute is organized by The University of Hong Kong Libraries, 31 March to 4 April 2019 in Macau. The theme this year is Library Leadership in the Asia Pacific Century. 2019 National Conference of Librarians This National Library of the Philippines conference, Libraries Click as Space for Customers, Learning and Research. Innovations, Community Engagement and Knowledge Creation, happens 18-21 March 2019, at Palawan, The Philippines. 64th Annual Conference of the Indian Library Association Shri Vaishnav Vidyapeeth Vishwavidyalaya, Indore, India, is organizing the 64th ILA Conference from 14-16 March 2019. One Week National Workshop on Libraries on Cloud The workshop takes place at INFLIBNET Centre, Gandhinagar, India, 11-16 March 2019. 2nd Reading Conference The conference theme is Developing Successful Readers in a Diverse Community and will take place on March 14-15, 2019 at Southville International School and Colleges at Las Pinas City, Metro Manila, Philippines. Australian Library Design Awards and Conference 2019 The conference is being held as part of the Asia-Pacific Architecture Forum and in association with the IFLA Library Buildings and Equipment Section. The conference takes place on 14 March 2019 at the State Library of Queensland, Australia. 2nd LIS Academy Conference on Innovations in Libraries The conference is scheduled 7-9 March 2019 at Visvesvaraya Technological University, Belagavi, Karnataka State, India. MAHLAP The Medical and Health Librarians Association of the Philippines (MAHLAP) will hold its 31st National Congress and Seminar-Workshop on the theme: Librarians’ Metamorphosis: Contribution and Role in a Rapidly Evolving Society on 6-8 March 2019 in Roxas City, Capiz, Philippines. CLSTL 2019 The 2nd International Conference on the theme Changing Landscape of Science & Technology Libraries takes place 28 February to 3 March 2019 at IIT Gandhinagar, India. International Conference on Future of LibrariesThe conference is jointly organised by the Indian Institute of Management Bangalore and Indian Statistical Institute, Kolkata, 26-28 February 2019 at IIM Bangalore, India. CLIS-2019 The International Conference on Challenges in Library and Information Services: Strategies and Tools, takes place 21-23 February at AMU, Aligarh, India. ICoASL 2019 The Sixth International Conference of Asian Special Libraries on Libraries and Librarianship in Digital Plus Era takes place 14-16 February 2019 in New Delhi, India. ALIA Information Online 2019 Conference The conference takes place in Sydney, Australia, 11-15 February 2019. IDCC The 14th International Digital Curation Conference takes place 4-7 February 2019 at the Parkville Campus of the University of Melbourne, Australia. HIKM2019 The 12th Australasian Conference on Health Informatics and Knowledge Management takes place in Sydney, Macquarie University, 29–31 January 2019. LTC2019 Library Technology Conclave 2019, on E-Books to E-Learning – Libraries as Learning Hubs, takes place at Cochin University of Science & Technology, Kerala, India, 23-25 January 2019. LIS 2019 The 2019 International Conference on Library and Information Science, themed Digital transformation and the challenges of the new information environment: reinventing library for the next user generation takes place in Sapporo, Japan from 19-21 January 2019. BITE 2019 The International Conference on Business, Information, Tourism, and Economics takes place in Sapporo, Japan, 19-21 January 2019. 2019 IPLC 4th Indian Public Libraries Conference with the theme Smart Libraries for Smart Communities and Sustainable Future, takes place at the Habitat Centre, New Delhi, India, 16-17 January 2019. 10th Asia Library and Information Research Group (ALIRG) Workshop The ALIRG Workshop takes place 15-16 December 2018 at the Department of Library Science, Kyushu University, Fukuoka, Japan. FIRE 2018 The 10th meeting of the Forum for Information Retrieval Evaluation takes place at DAIICT, Gandhinagar, India, 7-9 December 2018. COLLNET 2018 14th International Conference on Webometrics, Informetrics and Scientometrics (WIS) & 19th COLLNET Meeting 2018, take place at the University of Macau 5-8 December 2018. IATLIS XXXIV 2018 LIS Education, Research and Training (LISERT): Capacity Building and the Sustainable Development Goals is the theme of the Indian Association of Teachers of Library and Information Science (IATLIS) conference at the Central University of Haryana, Mahendergarh, India, 3-4 December 2018. ICDT 2018 International Conference on Digital Transformation: Preservation, Policy and Privacy takes place 29 November to 1 December 2018 at the National Law University Delhi, India. AusDM 2018 The 16th Australian Data Mining Conference is hosted by Charles Sturt University’s Bathurst, NSW campus, Australia, 28-30 November 2018. APRC18 The OCLC Asia Pacific Regional Council Meeting 2018 is being held in Bangkok, Thailand from 28 to 29 November 2018. IASLIC 2018 This Indian Association of Special Libraries and Information Centres 28th National Seminar takes place at Visva Bharati University, Santiniketan, India, 27-29 November 2018. PLAI National Congress 2018 The Philippine Librarians Association, Inc. (PLAI), in partnership with the National Commission for Culture and the Arts (NCCA), through the National Committee on Libraries and Information Services (NCLIS), and the National Library of the Philippines (NLP), will be conducting its Annual National Congress on 20-23 November 2018 in Manila. ICADL 2018 The 20th International Conference on Asia-Pacific Digital Libraries is scheduled 19-22 November 2018 at the University of Waikato, Hamilton, New Zealand. The theme is Maturity and Innovation in Digital Libraries. SkillsVision Forum This Forum for librarians takes place 20-21 November, 2018 at East China Normal University Library, Shanghai, China. ICMBL 2018 The International Conference On Marching Beyond the Libraries: Managerial Skills and Technological Competencies, takes place 16-17 November 2018 at KIIT, Bhubaneswar, India. PLANNER 2018 The 11th Promotion of Library Automation and Networking in North-Eastern Region organised by INFLIBNET, takes place 15-17 November 2018 at Tripura University, Tripura, India. The theme is Rejuvenate Academic Library as a Social Hub. APLAP 2018 The Association of Parliamentary Librarians of Asia and the Pacific’s 12th conference will be hosted by the National Diet Library in Tokyo, Japan, from 31 October to 2 November 2018. UNESCO-NDL India International Workshop on Knowledge Engineering for Digital Library Design The Workshop happens 25-27 October 2018, in New Delhi, India, hosted by UNESCO and the National Digital Library of India. Participation is by invitation. SILF2018 The 9th Shanghai International Library Forum will be held 17-19 October 2018 at the Shanghai Library, China. ICCYAL The 5th International Conference on Children and Young Adult’s Librarianship takes place 17-19 October at Cebu city, the Philippines. The theme of the conference is Information, Innovation, Inclusion to Diversify Children and Young Adult Libraries. The 36th International Map Collectors Society Symposium Ayala Museum and Gallery of Prints, Manila, with the support of The International Map Collectors Society (IMCoS) and the Philippine Map Collectors Society (PHIMCOS), present The 36th International Map Collectors Society (IMCoS) Symposium. It will be held on 15-17 October 2018 at the Ayala Museum, Makati and Hong Kong, 19-20 October 2018. Indonesian Library Association Conference The conference takes place 9-12 October 2018 in Surabaya, Indonesia. NACLIN 2018 The 21st National Convention on Knowledge, Library and Information Networking organised by DELNET, New Delhi, India, takes place 4-6 October 2018 in Visakhapatnam, Andhra Pradesh. Its theme is Managing Strategies and Technologies for Advancing Scope and Services of Libraries. SLANZA Otago Regional Conference The conference takes place 28-30 September 2018 at Dunedin, New Zealand. ASA 2018 The National Conference of the Australian Society of Archivists: Archives in a Blade Runner Age: Identity & Memory, Evidence & Accountability will be held in Perth, Australia, 25-28 September 2018. ETD 2018 The 21st International Symposium on Electronic Theses and Dissertations, is to be held in Taipei, Taiwan, 26-28 September 2018. It is themed Beyond the Boundaries of Rims and Oceans: Globalizing Knowledge with ETDs. 7th National Conference of Institute of Scientometrics The conference takes place 22-23 September 2018, KLE University, Belagavi, Karnataka, India, with the theme Libraries in the Sharing Economy. 2nd International Conference on Malay Medical Manuscripts Organised by the Islamic Arts Museum Malaysia and the International Islamic University Malaysia, at IAMM, Kuala Lumpur, 8-9 September 2018. Asian Festival of Children’s Content The Asian Festival of Children’s Content with a focus on Singapore, takes place 5-9 September 2018 in Singapore. SALIS 2018 SALIS 2018: National Conference on Role of Libraries in Creating a Knowledge Society jointly organized by the Dept of Library and Information Science, Alagappa University, Karaikudi, Tamil Nadu and Society for the Advancement of Library and Information Science (SALIS) takes place 7-8 September 2018 at Alagappa University, Karaikudi, India. Bridging the Digital Divide — Role of Libraries and Information Centers with Special Reference to the North Eastern Region The conference takes place 5-6 September 2018 at the Shillong College Central Library, Shillong, Meghalaya, India. Histories and Genealogies in Multicultural Asia This IFLA Genealogy and Local History Section joint with the Asia and Oceania Section meeting, takes place 22-23 August 2018 in Penang, Malaysia, as part of WLIC 2018. New Professionals’ Seminar: the Wonder Years The seminar, organised by SMU and LAS takes place 20-21 August 2018 at Singapore Management University. Asia and Oceania Satellite Meeting at Kolkata, India The IFLA-Asia and Oceania Section and Education and Training Section will jointly hold a satellite meeting on 20-21 August 2018 at the Department of Library & Information Science, University of Calcutta, Kolkata, India. The Theme of the meeting is Transforming the society: libraries as the torch-bearer of change. ISS Summer 2018 2018 International Conference on Information and Social Science (ISS 2018) takes place 17-19 August 2018 in Hokkaido, Japan. LIS 2018@Bangkok The International Conference on Library and Information Science will be held in Bangkok, Thailand, 8-10 August 2018.
International Conference on Exploring the Horizons of Library and Information Sciences: From Libraries to Knowledge Hubs The conference takes place in Bengaluru, India, at the Indian Statistical Institute, 7-9 August 2018. ICAL 2018 The 3rd International Conference of Asian Libraries, Building Smart Libraries: Changes, Challenges, Issues and Strategies, takes place 6-8 August 2018 at the Central University Kashmir, India. It is organised with The Asian Library Association. Asia-Pacific Library and Information Conference 2018 This joint conference of ALIA, Library and Information Association of New Zealand Aotearoa (LIANZA), and the Library Association of Singapore (LAS) takes place 30 July to 2 August 2018 at the Gold Coast Convention and Exhibition Centre, Queensland, Australia. Alongside this event, ALIA will be hosting a Sustainable Development Goals Summit for the library and information sector. 33rd Annual ANZTLA Conference Connecting: People, Ideas, Learning runs 11-14 July 2018 in Brisbane, Australia. 14th AUNILO Meeting The meeting takes place 2-4 July 2018 and the training workshop 5th July 2018 to be organized at the Learning Resource Center – Cantho University, Vietnam. The theme of this meeting is Digital Scholarship Trend in Academic Library. The Aurora Institute for Emerging Leaders The Institute takes place 24-29 June 2018 in Manly, NSW, Australia. NACLIS 2018 The National Conference on Library and Information Science 2018 will be held on 28th June 2018 in Colombo. This conference is organized by the Sri Lanka Library Association with the theme Make it happen: Transformation of library services for next generation. ICIKM 2018 7th International Conference on Innovation, Knowledge and Management happens in Bali, Indonesia, 25-27 June 2018. ICBI-2018 The International Conference on Business and Internet happens 25-27 June 2018, Taipei, Taiwan. NCML 2018 The National Conference on Modern Librarianship: Opportunities and Challenges is jointly organised by Resource Centre, National Institute of Fashion Technology, Mumbai and Bombay Science Librarians’ Association, India, 8-9 June 2018. National Workshop on Metadata Standards: Retrospective Conversion, Preservation and Migration The workshop takes place at INFLIBNET Centre, Gandhinagar, India, 6-8 June 2018. ACEAI 2018 The Asia Conference on Engineering and Information takes place 5-7 June 2018 in Chiang Mai, Thailand. International Short Term Course on Open Source Software for Library Management Jointly Organised by Central Library IIT Kharagpur and National Digital Library of India, 7-12 May 2018. Share it – Resource Sharing Futures Conference 2018 Organized by ALIA, the conference happens in Canberra, Australia, 10-11 May 2018. CONSAL XVII The Congress of Southeast Asian Librarians takes place 2-5 May 2018 in Naypyitaw, Myanmar. Its theme is Next Generation Libraries: Collaborate and Connect. 2018 ALLA Conference The Australian Law Librarians Association (Western Australia Division) conference, Global Impact, Local Footprint, takes place 2-4 May 2018, in Darwin, Australia. ICEAI 2018 The 8th International Congress on Engineering and Information meets in Sapporo, Japan, 1-3 May 2018. CDNLAO 2018 The 26th Conference of Directors of National Libraries in Asia and Oceania takes place in Naypyitaw, Myanmar, 2 May 2018 during CONSAL XVII. The 16th Annual Library Leadership Institute The Institute is organized by The University of Hong Kong Libraries, 13-17 April 2018 in Hong Kong. The theme is Beyond the bubble: Libraries leading and collaborating across boundaries. ISS 2018 2018 International Conference on Information and Social Science is in Nagoya, Japan, 6-8 April 2018. LibrAsia 2018 The Asian Conference on Literature 2018 themed Re-centering, will be held alongside The Asian Conference on Arts & Humanities 2018 (ACAH2018) which meets in Kobe, Japan, 30 March to 1 April 2018. COPE Asia-Pacific Workshop, Singapore This Committee on Publication Ethics workshop takes place 28 March 2018 afternoon in Singapore. ISMTE 2018 The Asian-Pacific Conference of the International Society of Managing & Technical Editors takes place 27-28 March 2018 in Singapore. 2018 National Conference of Librarians The conference with the theme Limang “K” para maging OK sa aklatan takes place 13-16 March 2018, in Quezon City, the Philippines. It is organised by the National Library of the Philippines and others. ICRLIB 2018 The International Conference on Rejuvenating Libraries for Information Access in the Digital Era takes place 9-10 March 2018, Annamalai University, India. MAHLAP 2018 The Medical and Health Librarians Association of the Philippines will hold its 30th National Congress and Seminar-Workshop on the theme Diversity matters in libraries: blending of services in physical and digital space in response to multicultural changes, in Tagbilaran City, Bohol, 7-9 March 2018. APRI 2018 The 3rd Asia Pacific Research Integrity network meeting, takes place 26-28 February 2018, in Taipei, Taiwan. ETTLIS 2018 The 5th International Symposium on Emerging Trends and Technologies in Libraries and Information Services (ETTLIS) takes place 21-23 February 2018 at Bennett University, Greater Noida, India. VALA2018 VALA2018 will be held at the Melbourne Convention and Exhibition Centre, Australia, from 13-15 February 2018. 32nd International Publishers Congress The IPA Congress takes place 10-14 February 2018, in New Delhi, India. Asia Universities Summit 2018 Times Higher Education’s Asia Universities Summit 2018 is hosted by Southern University of Science and Technology (SUSTech) in Shenzhen, China, 5-7 February 2018. Its theme is Connecting cities, changing the world: research universities building Asia. Convention on Next Generation Libraries 2018 The National Conference on Global Trends and Innovations in Libraries and Information Centres takes place at Anna Centenary Library, Chennai, India, 2-3 February 2018. ICRL 2018 International Conference on Reshaping Libraries: Emerging Global Technologies and Trends, takes place 1-3 February 2018, in Jaipur, India. The conference is organized by DELNET and Ambedkar University, Delhi. HIKM The 11th Australasian Conference on Health Informatics and Knowledge Management held in conjunction with the Australasian Computer Science Week (ACSW) takes place 29 January to 2 February 2018 in Brisbane, Australia. AROSIM 2018 Workshop on Altmetrics for Research Outputs Measurement and Scholarly Information Management: The best of both worlds: cross-metric exploration and validation of Altmetrics and Bibliometrics, takes place 26 January 2018 in Singapore. DHDS 2018 The International Seminar on Digital Humanities and Digital Societies in the Contemporary World takes place 18-19 January 2018 at the University of Calcutta, Kolkata, India. National Conference on Libraries and Transformation: Issues and Challenges The conference takes place 30 December and is organized by Department of Studies and Research in Library and Information Science, Tumkur University, India. International Workshop on Information Management Tools for Academic and Research Libraries The workshop takes place at AISSMS, Pune, India, 18-22 December 2017. FIRE 2017 The Ninth meeting of the Forum for Information Retrieval Evaluation, takes place 8-10 December 2017 in Bangalore, India. Data Science Winter Institute From 7-8 December 2017, the iSchool Asia-Pacific Chapter & the University of Hong Kong will be organizing a Data Science Winter Institute at the University of Hong Kong. JULAC 50th Anniversary Conference Themed Library Collaboration at Dizzying Heights: Innovation and Impact, the conference takes place 5-6 December 2017 at the University of Hong Kong. APRC17 The OCLC Asia Pacific Regional Council Meeting will convene in Tokyo, Japan, 29-30 November 2017. RAILS 2017 The Research Applications, Information and Library Studies conference is hosted by the School of IT and Mathematical Sciences, University of South Australia, Adelaide, 28-30 November 2017. NACLIN 2017 20th National Convention on Knowledge, Library and Information Networking, A Digital Universe of Infinite Possibilities for Libraries, takes place 28-30 November 2017 at the India International Centre, New Delhi, India. ICSDLP 2017 The 63rd Annual Conference of Indian Library Association-2017 on Sustainable Development of Library and Information Science Profession takes place at Babasaheb Bhimrao Ambedkar University, Lucknow, India, 23-25 November 2017. Connecting the Colonies: Empires and Networks in the History of the Book This Bibliographical Society of Australia and New Zealand (BSANZ) conference is in Hobart, Tasmania, 22-24 November 2017. PLAI Congress 2017 The Philippines Librarians Association, Inc., holds its Congress in Bacolod City, 21-24 November 2017. National Digital Forum The Forum happens 21-22 November 2017, Te Papa, Wellington, New Zealand. ETBL 2017 3rd Global Conference on Emerging Trends in Business Librarianship takes place 21-22 November 2017 at IIM Ahmedabad, India. RLIC 2017 The 7th Rizal Library International Conference takes place on 16-18 November 2017, Ateneo de Manila University, Quezon City, Philippines. The conference theme is CLICK! 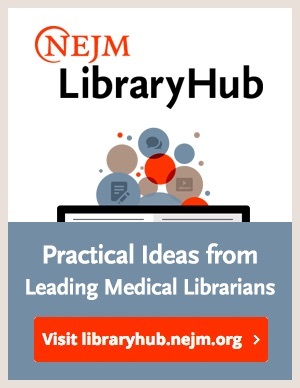 : Connecting Libraries, Information and Community Knowledge. ICBI 2017 The 8th International Conference on Business and Information 2017 takes place in Wattala, Sri Lanka, 17 November 2017, with the theme Exploring Disruptive Opportunities for Exponential Business Growth. 6th National Conference of Institute of Scientometrics The dates are 16-17 November in Bangalore, India. 9th Asia Library and Information Research Group (ALIRG) Workshop The ALIRG Workshop takes place 16-17 November 2017 at the Faculty of Humanities and Social Sciences, Khon Kaen University, Thailand. International Conference on Future of Libraries: From Promises to Practice The conference takes place at the Indian Statistical Institute, Mysore, India, 15-17 November 2017. A-LIEP 2017 The 8th A-LIEP Conference, International Forum on Data, Information and Knowledge for Digital Lives, takes place 13-15 November 2017 in Bangkok, Thailand and runs parallel to ICADL 2017. ICADL 2017 The 19th International Conference on Asia-Pacific Digital Libraries is in Bangkok, Thailand, 13-15 November 2017 and runs parallel to A-LIEP 2017. ICDAR 2017 The 14th IAPR International Conference on Document Analysis and Recognition takes place 10-15 November 2017 in Kyoto, Japan. National Conference on Digital Libraries, Library Automation and Open CourseWare: Issues and Best Practices The conference takes place at the University of Mysore, India, 10-11 November 2017. CIKM 2017 The International Conference on Information and Knowledge Management, Smart Cities, Smart Nations, takes place in Singapore 6-10 November 2017. IGCLC The 8th iGroup China Librarian Conference, Transforming Library Services-Driven by Demand and Technology, takes place 7-9 November 2017 in Xi’an, China. PNC 2017 PNC 2017 Annual Conference and Joint Meetings will be held at National Cheng Kung University (NCKU) in Tainan, Taiwan, 7-9 November 2017. The theme of the conference is Data Informed Society. IASLIC 2017 IASLIC 31 All India Conference 2017 of the Indian Association of Special Libraries and Information Centres, takes place 7-9 November 2017 at Banaras Hindu University, Varanasi, India. Its theme is Public Libraries in India in 21st Century. Library Fair & Forum The 19th Fair takes place 7-9 November 2017 in Yokohama, Japan. ICAL 2017 The 2nd International Conference of Asian Libraries, Expanding Digital Footprints: Role of Libraries & Information Centres takes place 26-28 October 2017 in New Delhi, India, at Jamia Millia Islamia. ISMIR 2017 18th International Society for Music Information Retrieval Conference will be held 23-28 October 2017 in Suzhou, China. SSR@125 International Conference on Knowledge Organization, Library and Information Management will be held at the Indian Institute of Technology, Chennai, India, 23-25 October 2017. Service Improvement and Innovation in Universities This conference organised by the LH Martin Institute takes place 19-20 October 2017 in Sydney, Australia. Digital Records and Information Management 18-19 October 2017 are the dates in Canberra, Australia. The theme is Overcoming the challenges of digital RIM. PRRLA 2017 Meeting The 2017 annual meeting of the Pacific Rim Research Libraries Alliance will be held at Zhejiang University in Hangzhou, China, 17-20 October 2017. IFLA International Leadership Skills Training Workshop The Workshop for Indian school librarians will be held during 4-7 October 2017 at the G. D. Goenka University Campus, Sohna-Gurgaon Road, Haryana, India. IPLC 2017 The India Public Libraries Conference will be held in New Delhi, India, 3-5 October 2017 with the theme Transforming Public Libraries: Strategies to reach the unreached. 3rd Regional Workshop on School Libraries in South East Asia: A Way Forward The workshop is in Kuala Lumpur, Malaysia, 2-3 October 2017. National Library and Information Technicians Symposium 2017 The Symposium dates are 27-29 September 2017, at the Australian Catholic University, North Sydney, Australia. iPRES 2017 The International Conference on Digital Preservation, is in Kyoto, Japan, 25-29 September 2017. ASA 2017 Diverse Worlds, the 2017 National Conference of the Australian Society of Archivists will be held alongside the 2017 Information Technologies Indigenous Communities Symposium at the University of Melbourne, Australia, 25-28 September. SkillsVision Forum for Librarians The Forum takes place 25-27 September 2017 at The University of Melbourne, Parkville, Victoria, 3010 Australia. MANLIBNET 2017 The International Conference on Innovation in Library Technology, Services and Resources – Current Trends in Libraries Globally, takes place 15-16 September 2017 and is organized jointly by Jaipuria Institute Of Management, Noida, and Management Libraries Network, India. ICDIM 2017 The Twelfth International Conference on Digital Information Management will be held 12-14 September 2017 at Fukuoka, Japan. NZLLA 2017 The New Zealand Law Librarians’ Conference, Embracing the future – diversity and innovation, takes place 7-8 September 2017 in Wellington, New Zealand. LIS2017 The International Conference on Library and Information Science happens 23-25 August in Sapporo, Japan. AUSDM 2017 The 15th Australasian Data Mining Conference co-located with IJCAI, AAI, KSEM and IFIP, takes place in Melbourne, Australia, 19-20 August 2017. ICLBB 2017 The International Conference on Libraries Beyond Borders: Innovative Trends, Issues and Challenges in Knowledge Dissemination takes place 18-19 August 2017 at Christian Medical College, Vellore, India. National Conference on Relevance of Ranganathan Philosophy in Digital India Department of Library and Information Science, Babasaheb Bhimrao Ambedkar Central University, Lucknow, India & the Society for Promotion of Library, Uttar Pradesh (SPLUP) is organizing the National Conference on Relevance of Ranganathan Philosophy in Digital India 12-13 August 2017. BIRNDL The 2nd Joint Workshop on Bibliometric-enhanced IR and NLP for Digital Libraries takes place 11 August 2017, Tokyo, Japan at the 40th International ACM SIGIR Conference on Research and Development in Information Retrieval. 13th AUNILO Meeting ASEAN University Network Inter-Library Online 13th meeting will be held 7–9 August 2017 at Mahidol University, Bangkok, Thailand with the theme ASEAN Digital Economy: Challenges and Opportunities for Academic Libraries. CALIBER 2017 11th International CALIBER 2017 organised by the INFLIBNET Centre in collaboration with Anna University, Chennai, Tamil Nadu, India, takes place 2-4 August, 2017. Its theme is Re-Envisioning Role of Libraries: Transforming Scholarly Communication. ITCON 2017 The Third International Conference on Information Technology Converge Services (ITCON 2017) happens 29-30 July 2017 in Chennai, India. 4th International Conference of Children’s and Young Adult Librarianship The conference takes place 19-21 July 2017 in Naga City, the Philippines. SLANZA 2017 The School Library Association of New Zealand Aotearoa meeting, Igniting and inspiring Libraries, takes place 16-19 July 2017 at King’s College Auckland. EFEO Workshop on Academic Materials Pertaining to Southeast Asia This École française d’Extrême-Orient workshop takes place on 19 July 2017, just after the International Conference on Thai Studies (16-18 July) and before ICAS 10 (20-23 July) at the EFEO centre in Chiang Mai, Thailand. 32nd Annual ANZTLA Conference The Annual Conference of the Australian and New Zealand Theological Library Association is in Perth, Australia, 10-13 July 2017. ICTL17 1st International Conference on Transforming Library 2017 takes place 8-10 July 2017 at The Central Institute of Technology, Kokrajhar, Assam, India. SALIS 2017 The National Conference on Role of Libraries in Making Digital India takes place 7-8 July 2017 at the Central Library, Thiagarajar College of Engineering, Madurai, Tamil Nadu, India. NSTL-2017 National Seminar Transforming Libraries in Digital India Perspectives takes place 5-6 July 2017 at Manipal University, Canchipur, Imphal 795003, India. NACLIS 2017 The National Conference on Library and Information Science (NACLIS 2017): Social Impact of Librarianship: Scholarship Towards Sustainable Development Goals, takes place 29 June 2017 in Colombo, Sri Lanka. OR2017 The 12th International Conference on Open Repositories will be held on 26-30 June 2017 in Brisbane, Australia. NLS8 The New Librarians’ Symposium 8 2017 will be held 23-25 June in Canberra at the National Library of Australia. The theme for 2017 is DIY Library Career. VALA 2017 The VALA Annual Conference 2017 takes place on 23 June 2017 in Melbourne, Australia. ASEAI 2017 The 5th Asia Symposium on Engineering and Information is in Hanoi, Vietnam, 20-22 June 2017. Australian Library Design Awards Conference 2017 The awards will be announced at the conference in Melbourne, Australia, 19 June 2017. ICIKM 2017 The 6th International Conference on Innovation, Knowledge, and Management will be held in Phuket, Thailand, 17-19 June 2017. OSSLM 2017 The International Workshop on Open Source Software for Library Management takes place at the Central Library, Indian Institute of Technology Kharagpur, 12-17 June 2017. Aurora Institute for Emerging Leaders The dates are 22-26 May 2017 in Manly, NSW, Australia. Asian Festival of Children’s Content The meeting, with a focus on Indonesia, takes place 17-21 May 2017 in Singapore. CDNLAO 2017 The 25th Conference of Directors of National Libraries in Asia and Oceania takes place 16-19 May 2017, hosted by the by National Library of China, Beijing. EIFL-Mahidol Libraries Workshop on “Research Evaluation and Data Science Libraries” The workshop takes place at Mahidol University, Salaya, Thailand, 16-17 May 2017. LAS Annual General Meeting 2017 The Library Association of Singapore AGM is 13 May 2017 at the Rendezvous Hotel. The 15th Annual Library Leadership Institute Libraries at the Crossroads: Challenges for Leadership takes place in Bangkok, Thailand, 12-16 May 2017. It is organized by The University of Hong Kong Libraries, in conjunction with iGroup. ICoASL 2017 The 5th International Conference of Asian Special Libraries with the theme Curation and Management of Cultural Heritage through Libraries: Challenges and Opportunities for the Digital Society, takes place 10-12 May 2017 in Yogyakarta, Indonesia. ICEAI 2017 The 7th International Congress on Engineering and Information is held in Kyoto, Japan, 9-11 May 2017. THETA 2017 The THETA Conference, Connecting Minds. Creating the Future. takes place 7-10 May 2017 in Auckland, New Zealand. THETA is The Higher Education Technology Agenda. PROFUSE 2017 The National Conference on Professionalism in Library and Information Services for User Empowerment: Opportunities and Challenges, takes place 27-28 April 2017 at Mangalore University, India. APLAP 2017 The National Assembly Library of the Republic of Korea will be hosting in Seoul the next Association of Parliamentary Librarians of Asia and the Pacific event, 26-28 April 2017. Copyright challenges and solutions for Chinese universities The seminar takes place 13 April in Beijing, China. LIPS2017 The 6th International Library and Information Professionals Summit, Dynamics of Library for Excellence in Electronic Revolution, takes place 6-8 April 2017 at IISER, Mohali, Punjab, India. It is jointly organized by IISER, Mohali & Society for Library Professionals (SLP) in association with Special Libraries Association (USA), Asian Chapter. LibrAsia2017 The Asian Conference on Literature 2017 themed History, Story, Narrative, is in Kobe, Japan, 30 March to 2 April 2017. ISMTE Asian-Pacific Conference 2017 This conference of the International Society of Managing & Technical Editors takes place 27-28 March 2017, Beijing, China. WRITEconference 2017 WRITEconference is hosted by Turnitin in partnership with the iGroup Ltd and in collaboration with the Asian Pacific Forum on Educational Integrity. It takes place in Bangkok, Thailand, 26-28 March 2017. COPE China Seminar 2017 The seminar has the theme The Pillars of Publication Ethics. It takes place in Beijing, China, 26 March 2017.
iConference 2017 iConference takes place 22-25 March 2017 in Wuhan, China. Its theme is Effect • Expand • Evolve: Global collaboration across the Information Community. National Conference of Librarians The National Library of the Philippines (NLP) in partnership with the Davao City Library and Information Center will hold the National Conference of Librarians, the Philippines, 14-17 March 2017, with the theme Emerging Libraries: Connect, Collaborate and Build Strong Communities. 29th MAHLAP Congress The Medical and Health Librarians Association of the Philippines (MAHLAP) will hold its 29th National Congress and Seminar-Workshop on the theme The Challenge of Change: Expanding the Role and Reach of Libraries on 8-10 March 2017 in Baguio City, the Philippines. CLSTL 2017 The International Conference on Changing Landscape of Science & Technology Libraries takes place at IIT Gandhinagar, India, 2-4 March 2017.
International Conference on Library and Information Services in Knowledge Society International Conference on Library and Information Services in Knowledge Society: Innovative, Value Added Services and Best Practices takes place 1-3 March 2017 at Mizoram University, Aizawl, India. ICKRELT 2017 The International Conference on Knowledge Resource and Library Technologies takes place at Bharathidasan University, Tiruchirappalli, Tamil Nadu, India, 24-25 February 2017. Australian Digital Alliance Forum 2017 Organised by the Australian Digital Alliance (ADA) with the theme Fair Use, Flexibility and Exceptions for Creativity this one day meeting about copyright is 24 February 2017 in Canberra, Australia. LIFE 2017 This National Conference on Library Innovations for Excellence takes place 16-17 February 2017 at the Institute of Science Education & Research (IISER) Pune, India. ALIA Information Online 2017 Conference The conference is in Sydney, Australia, 13 to 17February 2017. 62 ILA Conference 2017 The 62nd Indian Library Association Conference will be hosted by The Department of Library and Information Science, Karnataka State Women’s University, Vijayapura 9-11 February 2017. Its theme is Gearing up for the future: Library initiatives for digital India. BICODIC 2017 Borneo International Conference on Digital Content organized by the Malaysia Technical Scientist Association, takes place 7-9 February 2017, in Kota Kinabalu, Sabah, Malaysia. KGDAN – 2017 The International Conference on Knowledge Generation, Discovery and Networking takes place 3–4 February, 2017. It is organized by Department of Library and Information Science Aligarh Muslim University, India. BAI-Winter 2017 The International Conference on Business and Information Winter Session takes place 24-26 January 2017, Bangkok, Thailand. ETTLISAL 2017 The National Seminar on Emerging Trends and Techniques in Library and Information Services in Academic Libraries happens in Jaipur, India 24-25 January 2017 and is sponsored by the UGC. Workshop on Preventive Conservation of Manuscripts at Tripura University, Agartala The five day workshop organized by the Manuscript Resource Centre and Manuscript Conservation Centre, Tripura University in collaboration with National Mission for Manuscripts, Ministry of Culture, Government of India, takes place 16-20 January 2017. ICCLIST 2017 2nd International Conference on Contemporary Innovations in Conjugative Management, Library Information Science, Social Science and Technology for Virtual World, takes place 15 January 2017, Delhi, India. Lives of Data Workshop The workshop happens 6-7 January 2017 at the Centre for the Study of Developing Societies, Delhi, India. International Conference on Information Science and Security 2016 The conference takes place 19-22 December 2016 in Pattaya, Thailand. ICDL 2016 The International Conference on Digital Libraries organized by TERI, The Energy and Resources Institute, takes place 14-16 December 2016 in New Delhi, India at the India Habitat Centre. Its theme is Smart Future: Knowledge Trends that will Change the World. FIRE 2016 The 8th meeting of the Forum for Information Retrieval Evaluation 2016, takes place 8-10 December 2016 at the Indian Statistical Institute, Kolkata, India. ICADL 2016 The 18th International Conference on Asia-Pacific Digital Libraries takes place 7-9 December 2016 at University of Tsukuba, Ibaraki, Japan. It is a co-event with the Asia-Pacific Forum of Information Schools (AP-IS) 5-6 December 2016. RAILS 2016 The Research Applications, Information and Library Studies conference is hosted by the School of Information Management, Victoria University of Wellington, New Zealand, from 6-8 December 2016. The conference will be held on Victoria’s Pipitea Campus in central Wellington. 2016 PRRLA Meeting The Pacific Rim Research Libraries Alliance meeting 2016 takes place at the University of Melbourne, Australia, 5–7 December 2016. OCLC Asia Pacific Regional Council Meeting 2016 The meeting takes place 1-2 December 2016 in Hong Kong with the theme Tracking Digital Footprints: Recognizing and Predicting User Behavior. International Conference on Marching Beyond the Libraries: The Role of Social Media and Networking ICMBL 2016 will be held at KIIT University, Bhubaneswar, India, 25 to 26 November 2016. PLAI National Congress 2016 The Philippine Librarians Association, Inc. (PLAI), in partnership with the National Commission for Culture and the Arts (NCCA) through the National Committee on Libraries and Information Services (NCLIS) and the National Library of the Philippines (NLP), will be conducting its Annual National Congress on November 22-25, 2016 in Davao City. Its theme is Library as a Place: Continual Learning in the New Information Landscape. Building Digital India: Enhancing Capacities Through Libraries and Information The conference, organized by Shaheed Bhagat Singh College Library, University of Delhi, in association with the Asian Library Association takes place 22-23 November 2016 at the India International Centre, New Delhi. New Trends in Library Space Design: Library Design with Low Cost or No Budget The workshop takes place 21-22 November 2016 in Colombo, Sri Lanka. It is organized by the National Institute of Library and Information Sciences (NILIS) – University of Colombo, in collaboration with Goethe-Institut – Colombo. BSANZ 2016 The annual conference of the Bibliographical Society of Australia and New Zealand will be held at the University of Waikato, Te Whare Wānanga o Waikato, in Hamilton, New Zealand, from 21-22 November 2016. CAUL Research Repositories Community Event 2016 The event happens at the University of Sydney, Australia, 21-22 November 2016. Trends in Open Science and the Role of Libraries The symposium takes place at the NDL, Tokyo, Japan, 15 November 2016. 2016 Libraries Australia Forum The forum takes place 11 November 2016 at the National Library of Australia in Canberra. PLANNER 2016 The 10th convention Promotion of Library Automation and Networking in North-Eastern Region (PLANNER) takes place 9-11 November 2016, at Shillong, Meghalaya, India. The theme is Disruptive Innovations for Libraries: Adopt, Adapt and Evolve. Library Fair & Forum 2016 The 18th library fair and forum takes place 8-10 November in Yokohama, Japan. A-LIEP 2016 The 7th Asia-Pacific Conference on Library & Information Education and Practice, takes place 3-4 November 2016 at Nanjing, China. Liberact IV Liberact IV: Converge and Create takes place at Brisbane, Australia, 31 October to 1 November 2016. NACLIN 2016 The 19th National Convention on Knowledge, Library and Information Networking is organised by DELNET in collaboration with Tezpur University, Tezpur, Assam, India, from 26-28 October 2016 at Tezpur. Its theme is Smart Libraries and Inspired Librarians: Managing New Technologies, Digital Content and Services. 2016 ALIA Queensland Mini Conference The conference with the theme Library Hacks takes place 26 October 2016 at Brisbane Square Library, Australia. 2016 Chinese Library Annual Conference The conference is in Tongling, China and has the theme Innovate China: Technology, Society and Library. 5th National Conference of Institute of Scientometrics The conference takes place 22-23 October at the Central University of Rajasthan, Bandar Sindri, India. 31st National Conference of the Australian Society of Archivists 17-21 October 2016, Parramatta, Australia. COLLABOR8 The 8th ALIA NSW Library Unconference happens 8 October 2016, Australia. ETD -2016 The conference with the theme Evolving ETDs to Knowledge Repositories takes place at Infocity, Gandhinagar, India, 5-7 October 2016. ICOLIS2016 The 6th International Conference on Libraries, Information and Society takes place 20-21 September 2016, Kuala Lumpur, Malaysia. The conference theme is Romanticizing the Library: Creating What Users Need and Want. 2016 Chinese Institutional Repository Conference The conference takes place in Chongqing, China, 20-23 September 2016. Smart Libraries for Tomorrow Conference The Smart Libraries for Tomorrow Conference to be held 20 September 2016 at the Matrix Auditorium@Biopolis, Singapore, has the theme Smart Libraries for Tomorrow: Disrupt and Innovate. ALIA National 2016 Conference The conference is in Adelaide, South Australia, 29 August to 2 September 2016. 2016 ALLA National Conference The Australian Law Librarians’ Association 2016 conference happens at the State Library of Victoria, Australia, 24-26 August 2016. IASL 2016 The Annual International Conference of the International Association of School Librarianship will be held in Tokyo, Japan, 22-26 August 2016. Its theme is A School Library Built for the Digital Age. reating and Managing Digital Libraries using EPrints The National Workshop on Creating and Managing Digital Libraries using EPrints is organized by INFLIBNET Centre, 10 to 12 August 2016 at Information and Library Network Centre, Gandhinagar, Gujarat, India. ICKIM 2016 The International Conference on Information and Knowledge Management takes place in Beijing, China 22-24 July 2016. 3rd International Conference on Children’s Librarianship The 3rd International Conference on Children’s Librarianship with the theme Fostering Inclusive Children and Young Adult Services in Libraries takes place 18-20 July 2016, Almont Inland Resort Butuan City, Agusan del Norte, the Philippines. LibDC Library Data Carpentry will be held on 12-14 July 2016 in the University of Technology, Sydney, Australia. LIS2016 The International Conference on Library and Information Science meets in Kyoto, Japan, 12-14 July 2016. CDPDL 2016 The 2016 International Conference on Chinese Digital Publishing and Digital Libraries, happens 10-15 July 2016, in Hangzhou, China. SALIS 2016 The National Conference on Creativity, Innovation and Transformation in Libraries, 8-9 July 2016, is organized by the Department of Library, K.S.Rangasamy College of Technology, India, Jointly with the Society for the Advancement of Library and Information Science (SALIS). Diverse Voices The 12th Australian Library History Forum takes place 7-8 July 2016 and is hosted by the State Library of Queensland, Australia. SILF2016 The 8th Shanghai International Library Forum will be held on 6-8 July 2016 in Shanghai, China. Annual ANZTLA Conference of the Australian and New Zealand Theological Library Association takes place 29th June to 2nd July 2016, Canberra, Australia. NACLIS 2016 The National Conference on Library and Information Studies (NACLIS) 2016 takes place in Colombo, Sri Lanka, 23 June 2016. Its theme is Marching towards excellence: Contributions of LIS professionals in building a better society. ISKCOM 2016 The International Symposium on Knowledge and Communication, takes place at Shirpur, India, 10-11 June 2016. WAIM 2016 The 17th International Conference on Web-Age Information Management, 3 to 5 June 2016, takes place in Nanchang, China. Academic Librarian 4 – Sustainable Academic Libraries: Now and Beyond The Hong Kong University of Science and Technology (HKUST) Library and the Chinese University of Hong Kong (CUHK) Library will jointly host this two-day conference on 2-3 June 2016. Asian Festival of Children’s Content The festival is at the National Library Building Singapore, 25–29 May 2016. Aurora Institute for Emerging Leaders The institute runs 23-27 May 2016 in Manly, NSW, Australia. 12th AUNILO Meeting The Universiti Brunei Darussalam Library will be hosting the 12th AUNILO Meeting from 23rd to 25th May 2016, which will be held at the Institute for Leadership, Innovation and Advancement (ILIA), UBD. The meeting is coordinated by the AUNILO Secretariat and the ASEAN University Network (AUN) Secretariat. Its theme is Enhancing Electronic Resources Capacity in Libraries: Addressing Trends, Issues and Challenges. 5th Library and Information Professionals Summit 2016 LIPS 2016: International Conference on from Ownership to Access: Leveraging the Digital Paradigm takes place 19-20 May 2016 in New Delhi, India. It is organized by Ambedkar University Delhi, Society for Library Professionals (SLP) and the Special Libraries Association (USA), Asian Chapter. ABLD-EBSLG-APBSLG Joint Conference The 2016 Joint Conference of the Academic Business Library Directors (ABLD), the European Business School Librarians Group (EBSLG) and the Asia Pacific Business School Librarians Group (APBSLG) takes place at the Li Ka Shing Library, Singapore Management University, 16-19 May 2016. The Way Forward: Smart, Savvy, Sustainable is its theme. ICEAI 2016 The 5th International Congress on Engineering and Information will take place on 10-12 May 2016 in Osaka, Japan. The 14th Annual Library Leadership Institute Library Leadership in a Disruptive World: Today & Tomorrow, the 14th in the leadership series, takes place in Kuala Lumpur, Malaysia, 22-26 April 2016. It is organized by the University of Hong Kong Libraries in conjunction with the iGroup, Monash University Malaysia Library and Taylor’s University Library. ASEAI The 4th Asia Symposium on Engineering and Information is in Jeju-do island, Korea, 19-21 April 2016. ICEKMT 2016 The 5th International Conference on E-Learning and Knowledge Management Technology takes place in Kuala Lumpur, Malaysia, 17-18 April 2016.
International Conference on Digital Governance: Innovation Information and Libraries The ASIALA2016 conference is organized by the Asian Library Association and the Indian Institute of Management, Indore, 14-16 April 2016 at IIM Indore, India. LibrAsia2016 The Asian Conference on Literature and Librarianship 2016 takes place in Kobe, Japan 7 -10 April 2016. NCRMLIS 2016 The National Conference on Research Methodology in Library and Information Science takes place at Alagappa University, Tamil Nadu, Karaikudi, India, 11-12 March 2016. CDNLAO 2016 The 24th Conference of Directors of National Libraries of Asia and Oceania (CDNLAO) meets in Wellington, New Zealand 9-11 March 2016 and is hosted by the National Library of New Zealand Te Puna Mâtauranga o Aotearoa. The theme is Adding value through international cooperation. International Conference on Big Data & Knowledge Discovery ICBK2016 is hosted by the Documentation Research and Training Centre (DRTC) and the Indian Statistical Institute (ISI), Bangalore, India, 9-11 March 2016. Linked up, Loud and Literate ‘Libraries enabling digital citizenship’ The meeting is hosted by National and State Libraries Australasia (NSLA), and the National Library of Australia, in Canberra, 9 March 2016. National Conference of Public Librarians 2016 The National Conference of Public Librarians takes place 7-10 March 2016 in Manila, Philippines, with the theme Philippine Public Librarianship: Looking Forward and Beyond. JTS2016 The Joint Technical Symposium, Sustainable Audio-visual Collections Through Collaboration, takes place in Singapore 7-9 March 2016. IPLC 2016 The Indian Public Library Conference organized by the NASSCOM Foundation and DELNET takes place 7-8 March 2016 in New Delhi, India. Its theme is Inspiring and Repositioning Public Libraries – Technology, Content and Services. LKSW 2016 The 2016 Librarians’ Knowledge Sharing Workshop will be held 4-5 March 2016 at Garden International School, Kuala Lumpur, Malaysia. Asian Open Access Meeting The National Institute of Informatics (NII) in Japan and COAR are co-organizing a meeting of the Asian OA Community in Tokyo, Japan on 4 March 2016 in conjunction with the Research Data Alliance meeting. 2016 Canberra Outreach Meeting ORCID at Scale is the theme of this meeting hosted by the Australian Access Foundation, Canberra, Australia, 15-16 February 2016. National Conference on Library and Information Services For All: Reaching the Unreached in the Digital Era The conference takes place 11-12 February 2016 at Manasagangotri, University of Mysore, Mysuru, India. VALA2016 VALA’s 18th Biennial Conference and Exhibition will be held at the Melbourne Convention and Exhibition Centre, in Melbourne, Australia, from 9-11 February 2016.
International Conference on Re-Engineering of Library Resources and Services: Challenges and Opportunities The International Conference on Re-Engineering of Library Resources and Services: Challenges and Opportunities takes place at Annamalai University, Chidambaram, India, 5-6 February 2016. BAI 2016-winter The 2016 International Conference on Business and Information, winter session convenes in Bali, Indonesia, 2-4 February 2016. 11th Australasian Rare Books Summer School The 11th Australasian Rare Books Summer School will be held from 31 January to 5 February, 2016 in Sydney, New South Wales, Australia. National Workshop on Next Generation Librarianship National Workshop on Next Generation Librarianship organised by ICSSR-NASSDOC and CRISP takes place 18 to 21 January 2016 at Bhopal, India. IASLIC 2015 The IASLIC 30th All India Conference 2015 with the theme Library Legislation and Community Information Services takes place 28-31 December 2015 at Gujurat University, Ahmedabad, India. ICADL2015 The 17th International Conference on Asia-Pacific Digital Libraries will be held in Seoul, Korea, 9-12 December 2015. ICIS 2015 The 1st International Conference on Information Science hosted by The Faculty of Information Management, Universiti Teknologi MARA (UiTM), takes place 7-8 December 2015 at Shah Alam, Selangor, Malaysia. OCLC Asia Pacific Regional Council Conference The meeting, 3-4 December 2015 in Melbourne, Australia, has the theme The Power of Worldwide Cooperation. ETBL – 2015 The Indian Institute of Management, Ahmedabad in association with Indian School of Business are jointly organizing a three day Global Conference on Emerging Trends in Business Librarianship during 2-4 December 2015 at IIM, Ahmedabad, Gujarat, India. Libraries Australia Forum This event takes place 1 December 2015 in Melbourne, Australia with the theme Unique to Ubiquitous. 2015 APLAP Meeting The Association of Parliamentary Librarians of Asia and the Pacific meet in Canberra, Australia, 30 November to 3 December 2015. Annual Conference of the Bibliographical Society of Australia and New Zealand The conference takes place in Melbourne, Australia, from 26-27 November 2015 with the theme Turning the Page: Bibliographical Innovation and the Legacy of Aldus Manutius. 11th International Conference on Webometrics, Informetrics, and Scientometrics (WIS) and the 16th COLLNET Meeting The 11th WIS and the 16th COLLNET happen in Delhi, India, 26-28 November 2015. PLAI National Congress 2015: The Philippine Librarians Association Inc. (PLAI) in partnership with the National Commission for Culture and the Arts (NCCA) through the National Committee on Libraries and Information Services (NCLIS) and the National Library of the Philippines (NLP), will be conducting its Annual National Congress on 25-27 November 2015 in Laoag City, Ilocos Norte, the Philippines. Its theme is “ASEAN 2015: Borderless Librarianship, Limitless Opportunities”. IMCW2015 The 6th International Symposium on Information Management in a Changing World Information Management in the Big Data Era: For a Better World, takes place in Guangzhou, China, 25-27 November 2015. IKC2015 The International Knowledge Conference 2015 meets in Sarawak, Malaysia, 15-18 November 2015. ICIS 2015 The NILIS International Conference in Information Sciences takes place at the University Of Colombo, Sri Lanka, 12-14 November 2015. Also taking place at the conference is the National Institute of Library and Information Sciences (NILIS) MPhil/PhD Colloquium 2015 on 12 November. WCIS’15 The World Conference on Information Science 2015 takes place 12-13 November in Shah Alam, Malaysia. CAUL Research Repositories Community Event 2015 The event is at the University of Melbourne, Australia, 12-13 November 2015. ICIML 2015 The International Conference on Information Management and Libraries takes place in Lahore, Pakistan, 10-13 November 2015. 7th iGroup China Librarian Conference (IGCLC) “The Changing Academic Ecosystem: New opportunities for Universities, Their Libraries and Scholarly Publishing” takes place in Chengdu, China, 10-11 November 2015. COPE Australian Seminar 2015 This Committee on Publication Ethics seminar themed, Publication Ethics in the Australian Context, is on 6 November 2015 at the State Library of Victoria, Melbourne, Australia. ICICKM 2015 The 12th International Conference on Intellectual Capital, Knowledge Management & Organisational Learning takes place in Bangkok, Thailand, 5-7 November 2015. First National Conference on Digital Heritage The National Library of the Philippines in cooperation with the Academic Booksellers Association of the Philippines will conduct its First National Conference on Digital Heritage with the theme: Preservation of and Access to, Documentary Heritage in the Digital Age on 4-6 November 2015, tentatively in Pasay City. ETD 2015 The 18th International Symposium on Electronic Theses and Dissertations takes place in New Delhi, India, 3-6 November. 17th Biennial Copyright Law and Practice Symposium 2015, 22-23 October 2015, Sydney, Building a Fairer Framework for the Future is organised by The Copyright Society of Australia and the Australian Copyright Council. International Conference on Managing Academic Libraries – A Road-map to 2025 The conference at the Indian Institute of Technology, Roorkee, India, 22-23 October 2015. ICDIM 2015 The Tenth International Conference on Digital Information Management meets in Jeju Island, South Korea, 21-23 October 2015. A-LIEP 2015 The Asia-Pacific Library and Information Education and Practice (A-LIEP) Conference will be held in the Philippines from 21-23 October 2015. 9th ALIA Top End Symposium The 9th ALIA Top End Symposium: Evolution, Excellence and Energy: the triple E approach to future proofing libraries, takes place in Darwin, Australia, 16-17 October 2015. 2nd International Conference on Children’s Librarianship With the theme Sustaining Children’s Services in the Region through Improved Coherence and Integration this conference takes place in Palawan, the Philippines, 14-16 October 2015. SALC 2015 The South Asian Libraries Conference takes place in Lahore, Pakistan, 12-13 October 2015. 6th KSCLA International Conference Paradigms of Digital Library, E-Resources, Open Access and Information and Media Literacy takes place 9-10 October 2015 at Hubballi, Karnataka, India and is sponsored by the Karnataka State College Librarians Association. This entry was posted in Asia Pacific, Conferences and tagged 'Libraries enabling digital citizenship', 10th CCDSCR, 11th Annual Meeting of Asia Pacific Business School Librarians' Group, 11th Australasian Rare Books Summer School, 11th China Academic Libraries Forum and Advanced Digital Library Seminar, 11th International Conference on Webometrics, 12th AUNILO Meeting, 12th eResource Training Conference of The China Academic Library & Information System, 13th AUNILO Meeting, 13th IFLA Interlending and Document Supply Conference 2013, 14th Annual Library Leadership Institute, 15th Fiesole Retreat, 15th Library Fair and Forum, 16th COLLNET Meeting, 16th International Conference on Asia-Pacific Digital Libraries, 17th Biennial Copyright Law and Practice Symposium 2015, 17th International Conference on Asia-Pacific Digital Libraries, 18th SEAPAVAA Conference, 19th SEAPAVAA Conference, 1st International Conference of Public Librarians, 1st International Conference on Information Science, 1st International Conference on Transforming Library, 2013 ANZSI Conference, 2013 Australian Society of Archivists National Conference, 2013 GIAMS, 2014 Asia Symposium on Engineering and Information, 2014 International Conference on Business and Information, 2015 APLAP meeting, 2015 Aurora Institute for Emerging Leaders, 2015 International Workshop for Professional Librarians, 2015 National Conference of the Australian Society of Archivists, 2016 ALIA Queensland Mini Conference, 2016 ALLA National Conference. Melbourne, 2016 Canberra Outreach Meeting, 2016 Chinese Library Annual Conference, 2016 Libraries Australia Forum, 2016 PRRLA Meeting, 2018 ALLA Conference, 22nd meeting of the Conference of the Directors of National Libraries in Asia and Oceania, 23rd Conference of Directors of National Libraries of Asia and Oceania (CDNLAO) 2015, 24th Australasian Innovative Users Group Conference, 26th MAHLAP Congress and Seminar-Workshop, 28th Conference on Information Literacy in Digital Age, 29th Annual ANZTLA Conference, 29th Annual National Conference of the Australian Society of Archivists, 29th MAHLAP Congress, 2nd International Conference on Children's Librarianship, 2nd International Conference on Leadership & Innovative Management in Academic Libraries in the Age of New Technology, 2nd International Congress on Engineering and Information, 2nd National Conference of Children's Librarians, 2nd Tecnia SRFLISindia Summit 2015, 30th Annual ANZTLA Conference, 31st Annual ANZTLA Conference, 31st National Conference of the Australian Society of Archivists, 32nd Annual ANZTLA Conference, 38th Annual ICOFOM Symposium, 3rd International Conference on Children's Librarianship, 3rd International Conference on Information and Knowledge Management 2014, 3rd NACMAL 2018, 3rd Regional Workshop on School Libraries in South East Asia, 4th International Conference of Children's and Young Adult Librarianship, 5th eResource Utilization and Protection Seminar of the Chinese Academy of Sciences, 5th International Conference of Digital Archives and Digital Humanities 2014, 5th International Conference on Asia-Pacific Library & Information Education & Practice, 5th International m-Libraries Conference 2014, 5th Library and Information Professionals Summit 2016, 5th National Conference of Institute of Scientometrics, 60th ILA International Conference 2015, 62 ILA Conference 2017, 6th Annual National Records and Information Officers’ Forum 2015, 6th KSCLA International Conference, 6th National Conference of Institute of Scientometrics, 6th Rizal Library International Conference, 7th iGroup China Librarian Conference (IGCLC), 7th Shanghai International Library Forum, 9th ALIA Top End Symposium, 9th Asia Library and Information Research Group (ALIRG) Workshop, A-LIEP 2013, A-LIEP 2015, A-LIEP 2016, A-LIEP 2017, ABLD-EBSLG-APBSLG Joint Conference, Academic Librarian 3: The Yin-Yang of Future Consortial Collaboration and Competition, Academic Librarian 4 - Sustainable Academic Libraries: Now and Beyond, Adelaide, Advancements and Challenges of Academic and Public Libraries, AFCC, Agartala, Ahmedabad, Aizawl, ALIA HLA/HLI Conference, ALIA Information Online 2015 Conference, ALIA Information Online 2017 Conference, ALIA National 2016 Conference, ALIA National Conference 2014, ALIA National Library & Information Technicians' Symposium, ALIA/LIANZA Joint 2018 Conference, Aligarh Muslim University, ALIRG Workshop 2016, All Japan Library Conference, and Cultural Creative Industry, and Scientometrics (WIS), Annamalai, Annual Conference of the Bibliographical Society of Australia and New Zealand, ANZAAB conference, APA/C-DAC International Conference on Digital Preservation and Development of Trusted Digital Repositories, APLAP 2017, APLAP 2018, APRC17, AROSIM 2018, ASA 2017, ASEAI, ASEAI 2017, Asia-Pacific Library and Information Conference 2018, Asian Festival of Children's Content, ASL 2013, Assam, Auckland, Aurora Institute for Emerging Leaders, AusDM 2015, AusDM 2016, AUSDM 2017, Australia, Australian Digital Alliance Forum 2017, Australian Library Design Awards Conference 2017, Bacolod City, baguio, Baguio City. Philippines, BAI 2016, BAI 2016-winter, BAI-Winter 2017, BAI2013, BAI2014, BAI2015, Balacad, Bali, Bangalore, Bangkok, Beijing, Belgaum, Bhopal, Bhubaneswar, BICODIC, BigData2014, BIRNDL, Bohol, Brisbaine, Brisbane, Brunei, BSANZ 2016, Building Digital India: Enhancing Capacities Through Libraries and Information, Butuan City, CALIBER 2015, CALIBER 2017, CALIS 13th Training Week for Database Utilization, Canberra, CAUL Leadership Institute 2014, CAUL Research Repositories Community Event 2015, CAUL Research Repositories Community Event 2016, CDNLAO, CDNLAO 2016, CDNLAO 2017, CDPDL 2013, CDPDL 2014, CDPDL 2015, CDPDL 2016, Chengdu, Chennai, Chiang Mai, China, Christchurch, CIKM 2017, CLSTL 2017, COAR, Coimbatore, COLLABOR8, Collaborate and Share Knowledge using Social Media Platform, Colombo, Connecting the Colonies, CONSAL XVI, CONSAL XVII, Convention on Next Generation Libraries 2018, COPE Australian Seminar 2015, COPE China Seminar 2017, Copyright challenges and solutions for Chinese universities, Creating and Managing Digital Libraries using EPrints, Darwin, data, Data Science Winter Institute, Davao City, Dehradun, Delhi, DH2015, DHDS 2018, Diamond Jubilee Conference on Librarians for the Cyber World, Digital Records and Information Management, Diverse Voices, EFEO Workshop on Academic Materials Pertaining to Southeast Asia, Eighth International Evidence Based Library and Information Practice Conference, Emerging Technologies and Innovations in Library Practices, Enabling Universal Access and Preservation of Knowledge through Libraries: copyright matters, Essential skills for new age Information Professionals, ETBL - 2015, ETBL 2017, ETD 2013, ETD 2015, ethics, ETTALDE-2014, ETTLIS 2015, ETTLIS 2018, ETTLISAL 2017, FIRE 2016, FIRE 2017, First National Conference on Digital Heritage, Fukuoka, Gandhinagar, Global Information and Management Symposium, Gold Coast, Grey to Green, Guangzhou, Guilin, Gulbarga, Hamilton, Hangzhou, Hanoi, Harbin, HIKM, Hobart, Hong Kong, Hubballi, IASL 2016, IASLIC 2015, IASLIC 2017, IASLIC 26th National Seminar 2014, IATUL Leadership Academy, IBBY International Congress 2016, ICADL 2013, ICADL 2014, ICADL 2016, ICADL 2017, ICADL2015, ICAL 2017, ICAP 2012, ICBI 2013, ICBI 2017, ICBIC 2014, ICBK2016, ICCLIST 2017, ICDAR 2017, ICDIM 2015, ICDIM 2017, ICDIPC2014, ICDL 2016, ICEAI 2013, ICEAI 2014, ICEAI 2016, ICEAI 2017, ICEAI 2018, ICEKMT 2016, ICI 2014, ICICKM 2015, ICIKM 2014, ICIKM 2015, ICIKM 2017, ICIM 2015, ICIME 2015, ICIML 2015, ICIS 2015, ICKIM 2016, ICKRELT 2017, ICLAM 2014, ICLBB 2017, ICoASL 2015, ICoASL 2017, ICOLIS 2014, ICOLIS2016, iConference 2017, ICRL 2018, ICRLIB 2018, ICSTI 2014 General Assembly and Conference, iETD -2016, IFLA BSLA Asia and Oceania Convening, IFLA International Leadership Skills Training Workshop, IFLA WLIC 2013, IFLA WLIC 2018, IGCLC, iGroup, IKC2015, ILS@TSS, IMCW2015, Imphal, India, Indonesia, Indore, information, information literacy, Information Literacy Seminar 2015, Information Tools for IP & Intelligence, Information Unbounded: The past, Informetrics, International Conference on Business, International Conference on Chinese Digital Publishing and Digital Libraries, International Conference on Digital Governance: Innovation Information and Libraries, International Conference on Digital Libraries, International Conference on Future of Libraries: From Promises to Practice, International Conference on Information and Communication Technology Trend, International Conference on Information Science and Security 2016, International Conference on Library and Information Services in Knowledge Society, International Conference on Library Space and Content Management for Networked Society, International Conference on LIS (ICLIS) 2015, International Conference on Managing Academic Libraries - A Road-map to 2025, International Conference on Marching Beyond the Libraries: The Role of Social Media and Networking, International Conference on National Library: Harnessing Information to Empower the Nations, International Conference on Re-Engineering of Library Resources and Services: Challenges and Opportunities, International Conference on Sustainability of Digital Libraries, International Digital Library Conference, International Library Conference on "What's Next in Libraries? Trends, International Symposium on Library Services for Children and Young Adults, International Symposium on Medical Libraries Change and Innovation, International Workshop for Professional Librarians, International Workshop on Information Management Tools for Academic and Research Libraries, IPLC 2015, IPLC 2016, IPLC 2017, iPRES 2014, iPRES 2017, IRSL 2014, IS&IM 2013, ISKCOM 2016, ISMIR 2014, ISMIR 2017, ISMTE 2018, ISMTE Asian-Pacific Conference 2017, ISS 2013, ITCON 2017, Jaipur, Japan, Jeju, Jeju-do island, Jinan, JTS2016, JULAC 50th Anniversary Conference, JULAC Libraries Forum 2015, Karaikudi, Kathmandu, KGDAN - 2017, Kharagpur, Khon Kaen, Kobe, Kolkata, Korea, Kota Kinabalu, Kuala Lumpur, Kuantan, Kuching, Kunming, Kurukshetra, Kyoto, Lahore, LAS Annual General Meeting 2017, Legal Information & Records Management Evolution Forum 2014, LIANZA Conference 2014, LIANZA Conference 2019, LibDC, Liberact IV, Libraries Australia Forum, Libraries for the People, Libraries for Tomorrow 2014, Library Automation and Open CourseWare: Issues and Best Practices, Library Fair & Forum, Library Fair & Forum 2016, LIBRASIA2015, LibrAsia2016, LibrAsia2017, LIFE 2017, LIPS2017, LIS 2016, LIS2016, LIS2017, Lives of Data Workshop, LKSW 2016, Macau, Madurai, Mahidol University, MAHLAP 2018, Malaysia, Maldives, Manila, Manipal, MANLIBNET 2017, Manly, Meghalaya, Melbourne, MetLib 2014, Midnapore, MIS 32, Mohali, Mumbai, Myanmar, Mysore, NACLIN 2014, NACLIN 2016, NACLIN 2017, NACLIS 2013, NACLIS 2014, NACLIS 2016, NACLIS 2017, Nagoya, Nanchang, Nanjing, National Conference of Philippine Public Librarians 2013, National Conference of Philippine Public Librarians 2015, National Conference of Public Librarians, National Conference of Public Librarians 2016, National Conference on Digital Libraries, National Conference on Emerging Trends, National Conference on Library and Information Services For All: Reaching the Unreached in the Digital Era, National Conference on Library Information Science & Information Technology for Education, National Conference on Recent Trends in Library and Information Science, National Digital Forum, National Library and Information Technicians Symposium 2017, National Library of the Philippines, National Mission on Libraries: Disseminating Knowledge for the Developing Societies, National Workshop on Library Automation using Open Source ILMS KOHA, National Workshop on Next Generation Librarianship, Naypyitaw, NCIC 2013, NCILKS 2015, NCOAL 2015, NCRMLIS 2016, Nepal, New Delhi, New Trends in Library Space Design: Library Design with Low Cost or No Budget, New Zealand, NILIS, NILIS International Conference in Information Sciences, NLS7, NLS8, Noida, NZLLA 2017, OASPA Asia conference, OCLC Asia Pacific Regional Council 5th Membership Conference, OCLC Asia Pacific Regional Council Annual Meeting, OCLC Asia Pacific Regional Council Conference, OCLC Asia Pacific Regional Council Meeting 2016, open access, Open Access – Scholarly Communication Reincarnated: A futuristic approach, Open Repositories Conference, OR2017, Osaka, OSSLM 2017, Pakistan, Palawan, Parramatta, Pattaya, Perth, Philippines, Phuket, PLAI Congress 2017, PLAI National Congress 2013, PLAI National Congress 2015, PLAI National Congress 2016, PLANNER 2016, PNC 2014 Annual Conference and Joint Meetings, PNC 2015 Annual Conference and Joint Meetings, PNC 2017, Pondicherry, PRDLA 2013 annual meeting, PRDLA 2014 Annual Meeting, PRRLA 2017 Meeting, public libraries, publishing, Pune, QPLA 2015, Queensland, Quezon City, RAILS 2015, RAILS 2016, RAILS 2017, Rajasthan, Reclaiming the Knowledge Commons, Reinventing University Publishing, RLEA-2013, RLIC 2017, Roorkee, Salaya, SALC 2015, SALIS 2015, SALIS 2016, SALIS 2017, Sapporo, Sarawak, Seminar Kepustakawanan 2014, Service Improvement and Innovation in Universities, Shah Alam, Shanghai, Share it - Resource Sharing Futures Conference 2018, Shillong, Shimla, Shirpur, SILF2016, SILF2018, Singapore, Sixth CALIS National Work Conference on University Libraries of Medicine, SkillsVision Forum for Librarians, SLANZA 2015, SLANZA 2017, SLLA 54th Annual General Meeting, Smart Libraries for Tomorrow Conference, South Korea, Space and Partnerships", Sri Lanka, Sri Lanka Library Association, SSR@125, Suzhou, Sydney, Sydney. Australia, Taipei, Taiwan, Taking Libraries to 2025 - The Future of Libraries Summit, Tasmania, Tezpur, Thailand, The 12th Annual Library Leadership Institute, The 13th Annual Library Leadership Institute, The 15th Annual Library Leadership Institute, The 4th International Congress on Engineering and Information, The 5th Annual National Records and Information Officers’ Forum 2014, The Fifth Asian Conference on Literature and Librarianship 2015, the present and the future of information sciences, The Sixth Chinese Academy of Science E-resources Use-training Week, THETA 2015, THETA 2017, Tokyo, Tongling, Transforming Dimension of IPR: Challenges for the New Age Libraries, Trends in Open Science and the Role of Libraries, Tripura, Tsukuba, Twelfth Australasian Data Mining Conference, UIUC GSLIS – HKU Data Curation Spring Institute, University of Hong Kong Libraries, Unlocking the Future: Scholarly Communication & Publishing in a Global Research Environment, Unmeash3 Unconference, VALA 2017, VALA2014, VALA2016, VALA2018, Varanasi, Vellore, Vietnam, Vijayapura, WAIM 2016, Wattala, WCIS’15, WCOMLIS 2014, Wellington, Workshop on Bibliometric & Scientometric Analysis for Research Management, Workshop on Creative Librarian 2.0: Connect, Workshop on Preventive Conservation of Manuscripts, World Conference on Information Science 2015, WRITEconference 2017, Wuhan, Xi'an, Xiamen, Yogyakarta, Yokohama on March 25, 2013 by admin.